A New hominin discovery in Australia may allegedly rewrite historical records. As to the farmer making the discovery being harassed, such things happen in New Zealand. I was personally involved in one incident. The femur bone and eye sockets are a major ‘standout’ feature. Interesting crew, that Forgotten Origin site Corks. “Our claim is supported by genes, mtDNA, blood and many experts, that Australian Original people set sail from Australia, not to, 50,000 years ago. We claim that Australian Original people sailed to and settled in America over 40,000 years ago, and visited many other places including Egypt, Japan, Africa, India etc. They were the first Homo sapiens who evolved before the Sapiens of Africa, and who gave the world art, axes, religion, marine technology, culture, co-operative living, language and surgery. The debate over whether they were the first people in America is virtually a closed case. Hundreds of bones and skulls have been discovered that are undeniably of “Australian Aboriginal” origin. What it all means has had even the experts mystified. Professor Clive Gamble claims we “have to construct a completely new map of the world, and how it was peopled.” We are responding to the call and attempting to clear up the confusion. Sounds like bunkum to me but I’ll keep an open mind. I’m not interested in their New Age BS. I’m interested in the photos of the find and any possible scientific findings.
. Mankind has found throwing wheat into the air separates kernels from chaff.
. It beggars belief that the arms could be so long, at least ten centimetres longer than a gibbon, yet be so weakly constructed and unable to do anything except spectate. If this arm was formed in a location where the gravity was half what it is on this planet, it then becomes a viable appendage with the ability to move and lift more efficiently. As things are suspended on this planet this is a bad design, the arm is really doing no more than waiting for another chance to break. Carn mate. I read the whole thing & had a look around their site. Lefties. Yesterday’s rugby announcement about the Black Ferns Professional Performance Programme reminded me of some stuff on line which people might find interesting. The BFs will be paid even if they are pregnant and found something else to do. Why would any pregnant woman be playing rugby even at the beginning ??? Any gardeners or botanists here what can tell me what this shrub’s name is? Cheers PBD. Just had a look at a few. 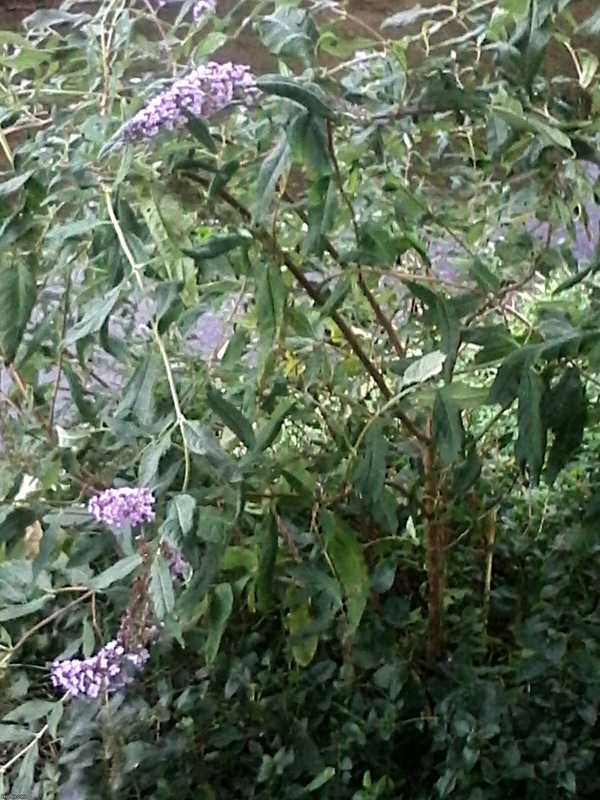 Buddleja, or Buddleia, commonly known as the butterfly bush, is a genus comprising over 140 species of flowering plants endemic to Asia, Africa, and the Americas. It’s on my stream parenga. Gets battered about, often nearly into oblivion by gales, & then comes back & flowers prodigiously. Thruves on neglect. It’s been bringing butterflies in from everywhere. That’s it all right. Very hardy and therefore can become a major weed pest in the wrong situation. Should have a very sweet fragrance.One of my all time favourites. But it shouldn’t be flowering at this time of the year. I’ll have a sniff tomorrow. Have to climb down the bank a bit. It’s been flowering for at least a month. Some flowers are starting to age. I’ll have a look back thru some vid clips. It was over the pooks’ nest when Pickles hatched early January. Can’t remember if it was in flower, just that when it was wet & windy it obscured the nest. When should it be flowering. My Mrs & I just used to call it the lilac tree. I see there’s a variety known as Summer Lilac, & now’s when the butterflies are about, so I think it’s gotta be about the right time. It blooms in August in the UK. Yep. It’s in full flower on 4 January. Plucked some of the flower this morning. It’s got a soft, wonderfully enticing, rose-like scent. Would make a brilliant perfume. Not overpowering, just moreish.